From now until the end of the season the snowsport action will not let up, with the opening World and Junior World Championships of 2019 set to take place alongside a host of World, Europa and Nor-Am Cup events. In this week’s preview we will look at what’s coming up in the days ahead for each discipline and also go back through the key events of the past week. World Cup giant slalom, Kronplatz ITA – Tuesday 15 January: Alex Tilley recorded her best result of the season and one her career-best World Cup finishes at Tuesday’s giant slalom World Cup in Italy. Tilley was 22nd on the first run then put down the 15th-best second run to climb to 20th. She has only ever finished higher twice at World Cup level. Invitational slalom, Crans-Montana SUI – Wednesday 16 January: Some of the world’s best slalom skiers converged on Crans-Montana on Wednesday night to participate in an invitational night event. French young gun Clement Noel led the all-star field through the two runs with GB Alpine’s Dave Ryding finishing second ahead of Julien Lizerouz, Andrew Myhrer and Marc Rochat. Europa Cup giant slalom, Kronplatz ITA – Thursday 17 January: World Cup skiers Charlie Raposo (35th) and Jack Gower (46th) were the highest-finishing British skiers at Tuesday’s Europa Cup in Italy. Competing in just his second-ever Europa Cup – and the first of this season – Iain Innes recorded a DNF on his first run. World Cup slalom, Wengen AUT – Sunday 20 January: Dave Ryding and Laurie Taylor return to action on Sunday in Austria with just three World Cup events remaining before February’s World Championships. The pair will be looking to bounce back after they both crashed out in the first run of last Sunday’s event in Adelboden and Ryding will be buoyed by his night slalom victory earlier this week at the Crans-Montana invitational. The Wengen World Cup slalom will be broadcast live on Eurosport 2 and Eurosport Player from Sunday 9am (1st run) and 11:45am (2nd run). Norwegian Cup, Nes NOR – Fri 18 to Sun 20 January: After a fantastic weekend in Dresden, GB Cross Country have bypassed this week’s World Cup in Estonia in favour of the Norwegian Cup races in Nes Skianlegg. All four British skiers – Andrew Young (3rd), James Clugnet (7th), Annika Taylor (6th) and Nichole Bathe (22nd) – made it through the prologue, however only Young qualified for the semi-finals. The three-time Olympian was then second in his semi before finishing fifth in the final. While Clugnet will head to the World U23 Championships in Finland after today’s race, the remaining athletes will compete in distance classic (Saturday) and free skate (Sunday) events over the weekend. U23/Junior World Championships, Lahti FIN – Sun 20 to Fri 25 January: A small contingent will represent GB Cross Country at the World U23 & Junior World Championships in Finland next week. James Clugnet and Hamish Wolfe will compete in the U23s while Oliver Newman will take part in the Junior (U20) events. The Championships kick off on Sunday when Newman takes part in the Junior sprint classic, and he will also compete in the 10km free (Tue 22 Jan) and 30km classic mass start (Thu 24 Jan). Clugnet and Wolfe will take part in the U23 sprint classic on Monday and 15km free on Wednesday, while Wolfe will also enter the 30km classic mass start (Fri 25 Jan). World Cup snowboard slopestyle, Laax SUI – Wed 16 to Fri 18 January: Jamie Nicholls hadn’t competed at the highest level since last year’s Olympics but he showed glimpses of his class this week in Laax. After qualifying through Wednesday’s heats in impressive fashion, the two-time Olympian was unable to reproduce that form in today’s semi-finals, finishing in 22nd position overall. Europa Cup, Kreischberg AUT – Wed 16 to Thu 17 January: Snowboarder Matt McCormick and freeskier Harris Booth both came away from the midweek Europa Cup in Austria with success which took them to the podium. On Wednesday the pair both qualified through to their respective slopestyle finals and picked up a pair of third places. McCormick went one better yesterday with second in the big air however Booth was unable to land a jump in the final on his way to 11th. Other midweek events: There was more success for GB Park+Pipe this week at a number of events. At the World Rookie Tour in Livigno, snowboarders Maisie Hill (rookie) and Mia Brookes (grom) both picked up second place finishes. Top five results were also recorded by Amber Fennell (4th, grom) and Gabe Adams (5th, rookie). Freeskier Cal Sandieson was fifth at a FIS slopestyle event in Meribel and Connie Brogden was fourth at the Elite Rev Tour at Waterville, New Hampshire. Brogden will compete in a second slopestyle event later today. World Cup ski cross, Idre Fjall SWE – Fri 18 to Sun 20 January: Ollie Davies was the sole British competitor in action at the Ski Cross World Cup in Sweden today. Despite strong times in practice, Davies was unable to turn that into a top 32 qualification for either Saturday’s or Sunday’s elimination rounds. Nor-Am Cup ski cross, Calabogie Peaks CAN – Fri 18 to Sun 20 January : A trio of British skiers are taking to the Nor-Am Cup in Canada this week. World Junior bronze medallist Elliane Hall is joined by 2018 Olympian Emily Sarsfield and World Cup skier Emma Peters in qualifying today ahead of two races across the weekend. Europa Cup snowboard cross, Grasgehren GER: While Charlotte Bankes is not competing in Germany after taking out both of last week’s Europa Cup races in France, a trio of British riders will be in action. Maisie Potter will fly the British flag in the ladies’ races after an impressive fourth-place finish last week, while Kyle Wise and Chris Gregory are in the men’s events. 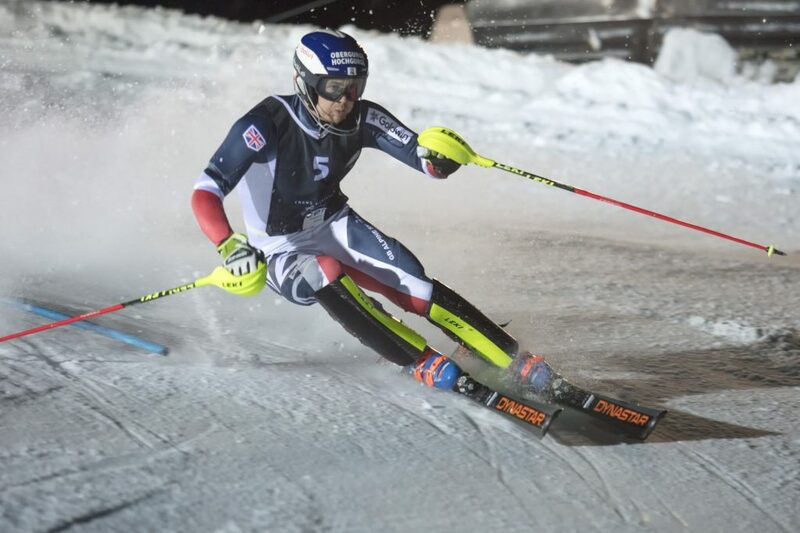 World Cup slalom, Zagreb CRO – Wed 16 to Thu 17 January: Kelly Gallagher and guide Gary Smith produced the best result from the GB team at the Para Alpine World Cup in Zagreb this week. Gallgher and Smith were third in Wednesday’s slalom, while teammates Menna Fitzpatrick and Jen Kehoe’s best result came yesterday with fourth. 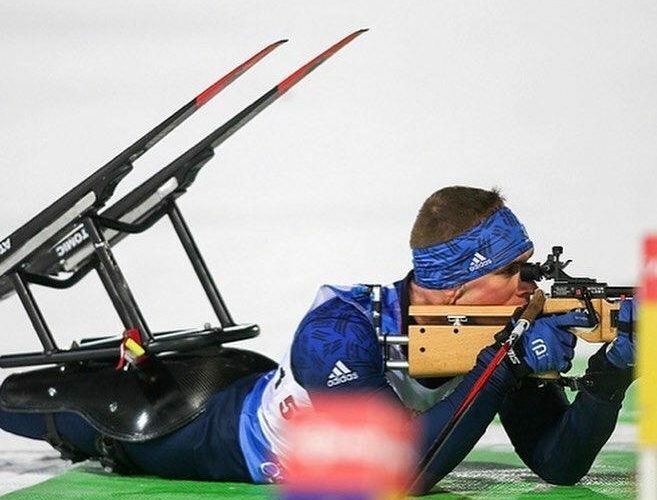 Sixteen-year-old Neil Simpson continued his good season with a pair of fourth-place finishes with guide Jamie Robertson while PyeongChang Paralympian James Whitley scored a fifth and seventh place from his two races. World Championships, Kranjska Gora SLO & Sella Nevea ITA – Mon 21 Jan to Fri 1 February: The GB Para Alpine team to contest the World Championships from next week will be announced later today. The technical events (slalom, giant slalom) will be held in Kranjska Gora, Slovenia starting on Monday, with the speed events (super G, downhill) to follow in Sella Nevea, Italy. World Cup, Lake Placid USA – Thu 17 to Fri 18 January: Max Willis and Thomas Gerken Schofield were unlucky not to qualify through to today’s 16-man World Cup moguls final in Lake Placid, missing out by the narrowest of margins. The pair were 17th and 18th respectively, with Max finishing just 0.06pt out of a finals place, with Thomas 0.07pt further back. They were still fantastic results with both Max and Thomas registering their highest-ever World Cup performances in individual moguls. Makayla Gerken Schofield (34th) and Wil Willis (43rd) missed out on the finals. The quartet will be joined by Will Feneley next week when the final World Cup before the World Championships takes place in Tremblant, Canada. World Cup cross country & biathlon, Östersund SWE – Sat 12 to Fri 18 January: The last World Cup before the Para Nordic World Championships has been taking place this week in Sweden with some positive results across the events. Scott Meenagh (5th) qualified for the final of the cross country sprint, also finishing fifth in the long distance event and sixth in the middle distance. He was sixth in the sprint biathlon and competes in the individual event later today. Rachel Morris (6th) also made the final of the cross country sprint at just her second World Cup since moving into para nordic skiing, and was fourth in the long distance event. Callum Deboys and Terry Ahrens competed in the cross country events, while Steve Thomas and Steve Arnold joined Meenagh in both cross country and biathlon. The individual biathlon will be streamed from 3pm this afternoon at https://www.youtube.com/watch?v=JIISQ5zpHIY. World Cup, La Thuile ITA – Sun 20 to Mon 21 January: Jasmin Taylor will lead the GB Telemark team into the opening World Cup of the year on the back of her best-ever season. In 2017/18, Taylor broke through for her first World Cup victory, going on to win four events and stand on the podium 14 times. Taylor will be the only Brit in the ladies’ field while the men’s events will be contested by Ben and Jack Emsley, Sion Bingham and Louis Hatchwell. This event’s races will be contested in the classic and sprint disciplines and can be streamed live from Sunday 8am at https://livestream.com/TeleHo/events/8469138.